Classic films like Scarface and The Godfather showed audiences the less-than-savory side of the all-too-often glamorized Mafia in America, but this organized crime group has gotten involved in far more misdeeds (and the occasionally helpful act) than you could ever imagine. The historical events attributed to the Mafia, both in America and back in Italy, range from assassinating a President of the United States to fixing the World Series to helping the American government keep Nazi spies out of New York's waterfronts during World War II. Sure, some of these might be nothing more than mafia conspiracy theories, but other historical events that have been blamed on the mob actually have merit in their accusations. Some have even been definitively proved. The range of secret activities performed by the Mafia, from despicable to useful, is very surprising. Ideas abound about who exactly killed President John F. Kennedy on November 22, 1963, but one of the most popular conspiracy theories assigns blame to the American Mafia. JFK and his family were rumored to have deep ties to the mob: his father, Joseph Kennedy, allegedly made some of his fortune by violating Prohibition laws with Sam Giancana of the Chicago Outfit. Kennedy and Giancana both had an affair with the same woman. Giancana and his wise guys also supposedly helped JFK win the 1960 presidential election, but many mobsters got angry when John's brother, Attorney General Bobby Kennedy (RFK), started persecuting them. Much anecdotal evidence points to important mafiosi taking out a hit on Kennedy. A governmental committee reasoned that there was probably a conspiracy to take out the president. New Orleans boss Carlos Marcello reportedly said that the only way to get Bobby off their backs was to cut the head (JFK) off the dog, then the tail (RFK) would stop wagging. When asked how he'd kill the president, Marcello quipped that he'd get a "nut" (like Lee Harvey Oswald) to do it. Moreover, Jack Ruby, the man who offed Oswald before he could testify, boasted numerous mob ties. But lots of people argue against this theory. American mafiosi don't often kill high-profile American public officials, and contrary to what Oliver Stone preached in his film JFK, a lone gunman actually could have shot both the president and Governor John Connally with one bullet. And former organized crime expert Ralph Salerno, who investigated the mob's connection to JFK for decades, concluded the Mafia didn't do it. #11 on If You Could Be A Spectator To Any Historical Event, Which Would You Watch? Meet James Riddle "Jimmy" Hoffa, a sinister figure who, despite his middle name, bears no relation to Tom Marvolo Riddle (AKA Lord Voldemort). 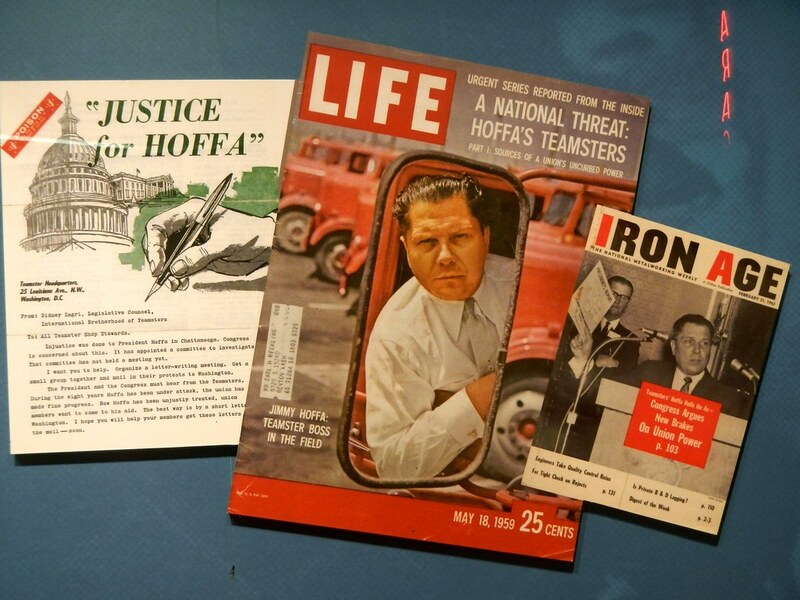 Hoffa was the longtime leader of what became America's biggest union, the International Brotherhood of Teamsters (that is, truckers). But Hoffa wasn't the most stand-up guy, misusing millions of dollars from pension funds, bribing, and extorting drivers. He wound up going to prison before being pardoned in 1971 by President Nixon, but then mysteriously vanished on June 30, 1975. Whodunnit? On the day of his disappearance, Hoffa was headed to a meeting with two mob bosses, but he was the only one who made an appearance. His car was found, but not his body. Perhaps those he went to meet decided to off him instead? Famed mafioso Santo Trafficante reportedly said that Hoffa was threatening to expose Teamster and Mafia secrets. The mob also didn't liked Hoffa's Teamster successor and didn't want him getting back in. And a memoir by Mafia-affiliated labor union official Frank Sheeran admits that he was the one to pull the trigger on Hoffa. One mobster claims that Hoffa's body, which has never been discovered, was chopped up and stuffed in a drum. No substantial evidence arguing against the Mafia killing Hoffa has recently been presented, but historians debate just who pulled the trigger. Sheeran is an option, as is Richard Kuklinski, a contract killer called "the Iceman." An eighty-something named Anthony Zerilli is another candidate (he might have hit Hoffa with a shovel and buried him underneath concrete), as is Charles Allen, who, on the orders of the mob and a Teamster leader, supposedly had Hoffa's body ground up and dumped in a Florida swamp. Nearly 100 years ago, the Chicago White Sox beat the Cincinnati Reds in a true World Series upset. But something was fishy: gamblers affiliated with the Mafia had bribed a bunch of the White Sox players to lose games, including the Series itself. Several players were charged, but all were eventually acquitted. The incident became known as the "Black Sox" debacle because of the shadow it cast upon baseball. The man reputed to be behind it was gambling whiz Arnold Rothstein, although research now indicates he only loaned money to the people fixing the games. Rothstein, dubbed "The Great Brain," was well-known for organizing such affairs, but not getting his own hands dirty, organizing gambling rings involving everyone from low-level mobsters to high-end socialites. He also befriended and mentored up-and-coming mobsters like Lucky Luciano and Meyer Lansky, investing in their illegal operations that ranged from prostitution to bootlegging. In all of his ventures, Rothstein was a polished, business-like criminal, creating a prototype for the modern American gangster. But Rothstein's schemes came to an end in November 1928, when he was shot to death in a hotel. Rumor had it he had lost hundreds of thousands of dollars in a poker game a few months earlier and refused to pay up. Given until November 1 to make good on his debt, which he didn't do, Rothstein was killed in revenge. World War II brought about a rare collaboration between the American government and the Mafia. During the early 1940s, stateside authorities feared Nazi interference on the American waterfront, particularly in New York. On February 9, 1942, a giant fire broke out on a luxury liner called SS Normandie that docked in NYC. It appeared that the flame was an accident... but Americans were worried that Nazis - or discontented Italian and Italian-American workers - had somehow sabotaged the ship. The government reached out to the Mafia, which controlled New York's waterfront and had an influence on the city's Italian population. The intelligence community got Meyer Lansky and his New York mafiosi to help them keep control of the waterfront. At the time, Lansky and his longtime BFF and the head of the NYC mob, Charles "Lucky" Luciano, was in jail. 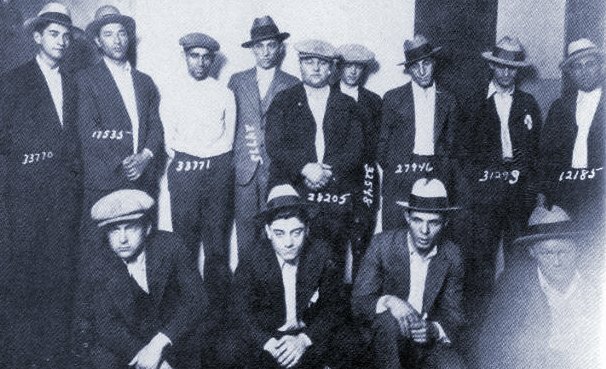 Lucky and Lansky negotiated with the government to make the waterfront workers cooperate, though one of Luciano's deputies, Joseph "Socks" Lanza, did most of the heavy lifting. Lanza controlled the Fulton Fish Market and arranged for Navy intelligence to get fake union cards so they could patrol the docks undisturbed. In exchange for his help, Luciano, then serving a 30- to 50-year sentence, received a commuted sentence in 1945. Although he wasn't stuck in prison anymore, he did have to return to Italy and was ordered never to return to America.